We 'cheated' this year, and opened presents on Christmas Eve, so we could leave early Christmas morning. 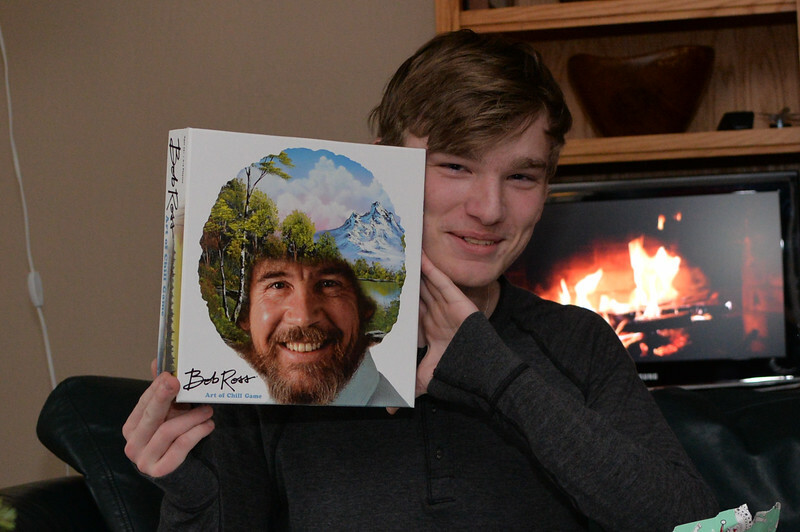 He's a huge Bob Ross fan. This is the (utterly dorky) Bob Ross board game.